Strong Crypto Innovations LLC, a software security services firm in Northern Virginia, today announced its partnership with Netsparker. Strong Crypto Innovations will start offering web application security scans to its customers using Netsparker Cloud, the only false positive free online web application security scanner. Strong Crypto Innovations is an official Netsparker reseller of both Netsparker’s online service offering Netsparker Cloud, and the desktop edition of the scanner Netsparker Desktop. “We are pleased to announce this technology alliance,” said Ferruh Mavituna, Netsparker CEO. 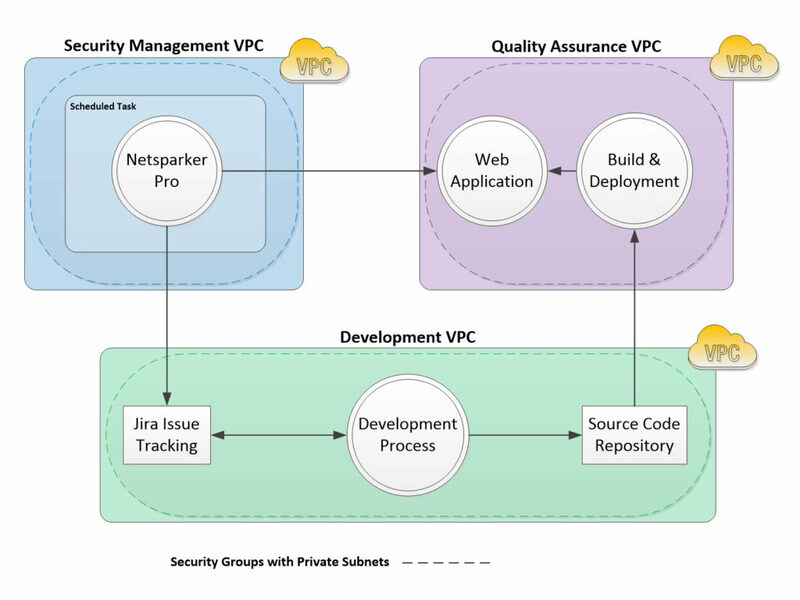 “By providing web application security scans and reselling the service and software, Strong Crypto Innovations is helping organizations integrate web application security scans in their SDLC and ensure they all build and maintain secure web applications”. Strong Crypto Innovations LLC has provided world-class software security services and solutions to organizations since being founded in 2006 by Alexander J. Fry. Strong Crypto provides penetration testing services that are carefully scoped to meet its customer’s needs, professionally conducted and competitive within the industry. Its penetration testing engagements have grown over the years from individual mobile and Web applications to large-scale wireless networks; offices, retail locations, point of sale; cloud and Internet infrastructure. Netsparker Cloud is an enterprise level false positive free online web application scanner developed by Netsparker Ltd. It is a fully scalable multi user service that enables users to easily scan hundreds and thousands of websites simultaneously. 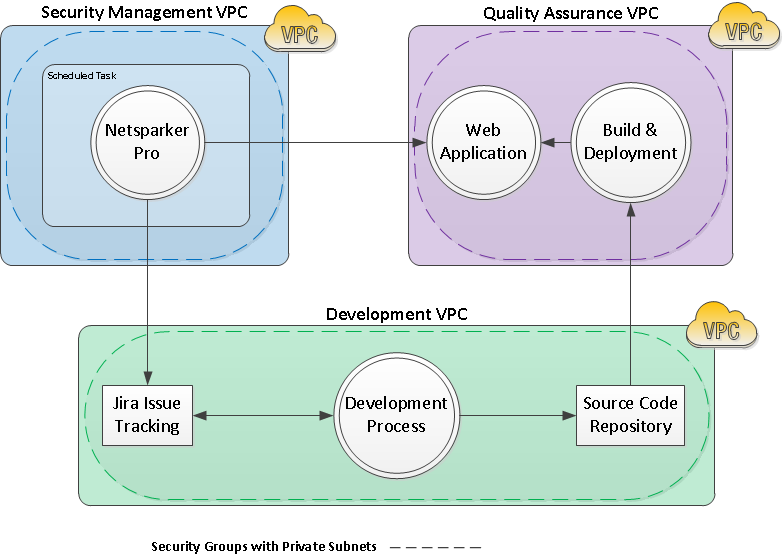 Its vulnerability management tool and fully documented API allow enterprises to easily manage the long term security of their web applications and integrate automated web application security scans in their SDLC and Continuous Integration system. Netsparker Cloud is built around the already proven scanning technology of Netsparker Desktop, which is used by world renowned companies such as Samsung, Ernst & Young, Skype, NASA, ISACA and ING Bank. Netsparker Ltd is a young and enthusiastic UK based company focused on developing automated web security products, mainly the false positive web application security scanners Netsparker Desktop and Netsparker Cloud. Netsparker management and engineers have more than two decades of experience in the web application security industry that is reflected in their products. Founded in 2009, Netsparker’s automated web vulnerability scanners are the leading security tools and are used by world renowned companies such as Samsung, NASA, Microsoft, ING bank, Skype and Ernst & Young. Washington D.C. area veteran ethical hacking company Strong Crypto Innovations was asked by the U.S. Department of Labor to conduct an Independent Security Assessment. Recent security breaches have necessitated more of such exercises to help prevent the theft of key personal information. For the last decade Alexander J. Fry and his company, Strong Crypto Innovations, have been working in the business of keeping critical information secure. Certainly in the last year there have been spectacular breaches of sensitive personal information, and a possible endgame for such marauding could be as dramatic as the takedown of an economy. Recently Strong Crypto published a case study of their work for the U.S. Department of Labor to illustrate the usefulness of ethical hacking assessments. To be successful the Strong Crypto team had to work after hours and on non-business days, and within a specific timeframe for the completion of the assessment. Another challenge in the procedures involved the CSAM application (in which assessment findings were required to be input/validated) as it resides on a Department of Justice system that is outside the control of DOL. Results delivered to DOL included vulnerability findings and remediation advice, backup and contingency planning recommendations, component inventory and configuration management recommendations and operational process improvement recommendations. Strong Crypto Innovations specializes in working with the U.S. Federal government and Fortune 500 clients in industries such as financial services, health care, software development, digital media, and publishing. More information about services and deliverables can be found on the Strong Crypto Innovations website. Strong Crypto Innovations has provided world-class software security training and services to organizations with critical applications since being founded in 2006 by Alexander J. Fry. Strong Crypto’s mission is to improve the security and reliability of client software and protect their critical applications on a wide range of technologies and architectures. Strong Crypto ensures that their clients’ applications are “self-defending” for their target environments and meet compliance requirements such as DIACAP, FISMA, PCI, HIPAA, and the EU Data Protection Directive. Strong Crypto will “teach your software self-defense” ™. To learn more about Strong Crypto, visit https://www.strongcrypto.com. Northern Virginia – August 19, 2013 – Strong Crypto announced today that Alexander J. Fry has been named a Senior Member by the Information Systems Security Association (ISSA). ISSA is the community of choice for international cybersecurity professionals dedicated to advancing individual growth, managing technology risk, and protecting critical information and infrastructure. Alexander J. Fry is an occasional speaker and co-author of the Certified Secure Software Lifecycle Professional (CSSLP) prep course for the ISSA-NOVA chapter. He is active in several areas of security research including mobile application and device security and custom solutions for protecting intellectual property. “The appointment to Senior Member is an honor that ISSA bestows upon those members who have demonstrated a long-term commitment to both the profession and the organization. These are the types of people who are leaders in the field and deserving of such acknowledgement from their peers,” added Ira Winkler, ISSA President. Strong Crypto is a consulting firm that specializes in software security, mobile application and device security, and bespoke security solutions. Strong Crypto helps organizations improve the security and reliability of their software and protect their critical applications on a wide range of technologies and architectures. The Information Systems Security Association (ISSA)® is the community of choice for international cybersecurity professionals dedicated to advancing individual growth, managing technology risk, and protecting critical information and infrastructure. ISSA members and award winners include many of the industry’s notable luminaries and represent a broad range of industries – from communications, education, healthcare, manufacturing, financial and consulting to IT – as well as federal, state and local government departments and agencies. Through regional chapter meetings, conferences, networking events and content, members tap into a wealth of shared knowledge and expertise. Visit ISSA on the web at www.issa.org and follow us on Twitter at @ISSAINTL. Northern Virginia and San Antonio Texas – April, 2013 – Strong Crypto, LLC, a software security consulting firm in Northern Virginia, announced today its agreement to offer ThreadStrong’s comprehensive library of secure development e-Learning courses. Strong Crypto is committed to facilitating the tools required for developers to gain the secure coding knowledge needed to build fundamentally secure software. ThreadStrong application security e-Learning courses have trained thousands of developers in secure development practices globally, demonstrating the effectiveness of the online training. Used internationally by Fortune 500 companies and more, ThreadStrong’s modularized content addresses specific learning objectives using a structured, building-block approach. This helps ensure that each lesson facilitates the learning objectives in the most effective way for each individual in training while enabling team members to learn at their own pace. In addition, the course modules are continually available as a reference tool that developers can return to even after training to refresh their knowledge. ThreadStrong also provides a practical, cost-saving solution for organizations with developers scattered across the globe. Regular updates to course content keep developers up-to-date with the newest security threat and attack technique discoveries on a regular basis. Denim Group is the leading secure software development firm. The company builds custom large-scale software development projects across multiple platforms, languages and applications. What makes Denim Group unique is that they bring significant core competencies in software security to the table which offers an innovative blend of secure software development, testing and training capabilities that protect a company’s biggest asset, its data. Denim Group customers span an international client base of commercial and public sector organizations across the financial services, banking, insurance, healthcare and defense industries. The depth of experience building large-scale software development systems in a secure fashion has made the company’s leaders recognized experts in their fields. Denim Group has been identified as one of the 5,000 Fastest Growing Company’s by Inc. Magazine several years in a row, and has won multiple awards including its recent accolades as one of the best places to work in San Antonio. For more information about Denim Group visit http://www.denimgroup.com.